Beautifully presented An Eventful Life, Life Stories of Eventing Champions by Alison Duthie is a written and pictorial journey into the lives of six Australian eventing riders. It shows the courage and determination it has taken to get to the Olympic medalist level they have achieved. Megan Jones, Sonja Johnson, Shane Rose, Wendy Shaeffer, Stuart Tinney plus up and coming rider Emma Scott are all featured within this book. Alison Duthie takes the reader into both the private and professional lives of each rider with eye opening grace and compelling intrigue. She shows both the seriousness and fun of the horse business mixed in with all the heartache and pain it takes to get to Olympic medalist level. She shows a group of unique athletes who not only have dedication but a love for what they do – it is in their blood. 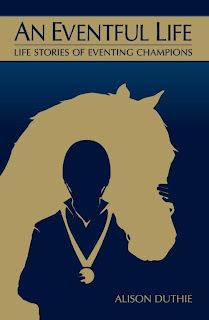 These true stories provide background information into what it takes to become a medalist and the hard work and hours of commitment required to maintain that level First and foremost this book shows the understanding and love that this special breed of people have for their horses. With a deep respect and dedication to their four legged friends these unique athletes often go beyond the call of duty to make sure their horses are comfortable and able to compete at this top level. With the love also comes the heartache and pain as horses are injured and lost . And of course there is the commitment by family and friends, the mateship and support between riders and competitors that makes this industry what it is today Above all these are ordinary people with ordinary lives who have worked hard and followed a dream that has lead them to become Olympic Champions. Having evented to two star level herself, Alison Duthie has done a wonderful job of introducing the world of eventing to those who may not have otherwise bothered. Not being one with a love of horses and having no eventing knowledge I was never at a loss for the understanding of terms or jargon and learnt more than I bargained for in a book that I read mainly for its human interest and Australian content. A background on eventing is provided explaining what it all means for those who find it necessary but I felt that by the time I had got to the back of the book were this is found Alison had already lead me through the eventing process. What I did find helpful was the rider biographies at the end of the book, these allowing me to piece together the history of the riders as mentioned and fill timelines within my head. Tables of Australia's World Equestrian Games Records for Eventing are also included. This book is a breath of fresh air amongst the normal learn to ride and how to care for your horse books. A welcome diversion for the horse lover who time and time again has searched in vain for something to read on a topic that is overdone in its usual form. For those who are not horse lovers I recommend you give this book a go. It is more than just a horse book. 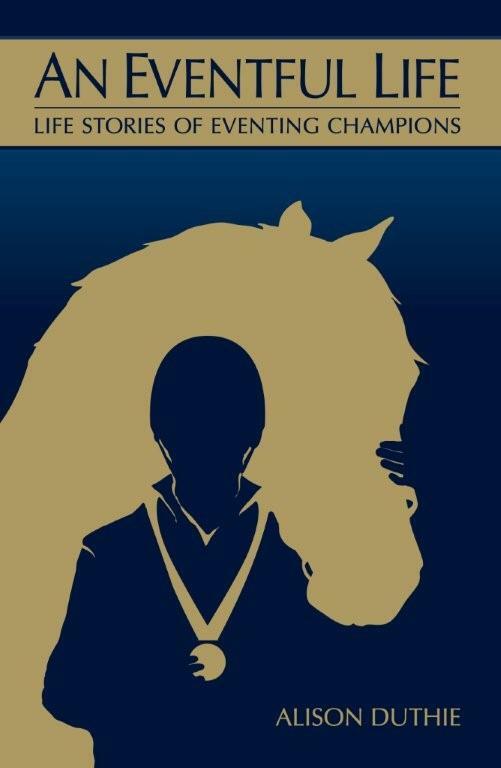 It is a book of lives, careers, compassion and a group of extraordinary people who, as individuals and a team, go beyond their love of horses to represent their country in an event that deserves recognition for the stamina and sweat that is put into it by both horse and man. As an Australian I am proud of what these people stand for and commend them for their dedication and love of their sport. Until I read An Eventful Life I had no idea what being an equestrian rider really meant. An Eventful Life , Life Stories of Eventing Champions is a soft back book of 304 pages. Inspiring and uplifting it touches the heart in many places and takes you on an emotional journey. With a cover that catches the eye and words that touch the soul it is Australian, it is history and it is what real champions are made of.